A larval blacklegged or deer tick, Ixodes scapularis, the species that spreads Lyme disease in the U.S.
As worrying as new invasive species of parasitic ticks might be, a recent report released by the lab testing company Quest Diagnostics should remind us of the more pressing dangers these eight-legged bugs can cause. It suggests that not only have cases of the tick-borne Lyme disease substantially risen in the past few years, they’re happening in all 50 states. The report’s authors analyzed more than 6 million lab samples from people suspected to have Lyme that had been sent to Quest over the past seven years. It found there was a clear uptick in positive results of Lyme in both 2016 and 2017. The majority of results were concentrated in the Northeastern United States, where Lyme is considered an endemic, generally summertime illness. But the authors also found positive results scattered all across the country, reaching states as far-flung as from the Northeast as California and Florida. Specifically, around two-thirds of the results found in 2017 happened in the Northeast. The most results that year, 11,549, were seen in New England, representing a nearly 50 percent increase from 2015. Pennsylvania also saw a dramatic 79 percent increase from 2015, with 10,001 results in 2017. Florida had 501 positive results, amounting to a 77 percent jump from 2015, and California had 483 results, nearly triple the number seen two years earlier. Quest’s findings are certainly more ominous than similar government research released by the Centers for Disease Control and Prevention. Health agencies such as the CDC have said that Lyme—the most common vectorborne disease in the U.S.—is becoming genuinely more common and reaching new areas of the country for longer stretches of time, now affecting an estimated 300,000 people annually. But the CDC has historically played down the possibility of Lyme happening regularly outside the Northeast, even to this day. Part of the difficulty in confirming Lyme is that its symptoms, if they even show up, are generally vague and flu-like, such as fever, headache, and fatigue. Only occasionally do sufferers develop the distinctive “bullseye” rash where the bite occurred. It is true there are important caveats to the Quest report. As the authors themselves admit, a positive result for Lyme isn’t a diagnosis of the disease—that can only be made by a doctor. The test, which relies on finding specific antibodies produced by the body in response to the bacteria that causes Lyme (Borrelia burgdorferi), also can’t tell us when or where an infection actually happened. Some results might be detecting undiagnosed cases of Lyme that happened long before someone visited the doctor, or even cases that had already been treated with antibiotics. And some cases, particularly in states with low numbers, might have been caught while the person was traveling elsewhere, rather than represent a native infection. All that said, it’s becoming undeniable that it’s getting harder and harder to avoid the diseases ticks and other warm-loving bugs and insects are bringing along with them. To stay safe this summer, the CDC suggests avoiding places where ticks are known to live, such as wooded and brushy areas with high grass and leaf litter. But if you do end up hiking or visiting the woods, you can also wear clothing treated with permethrin and use insect repellants to reduce your risk. 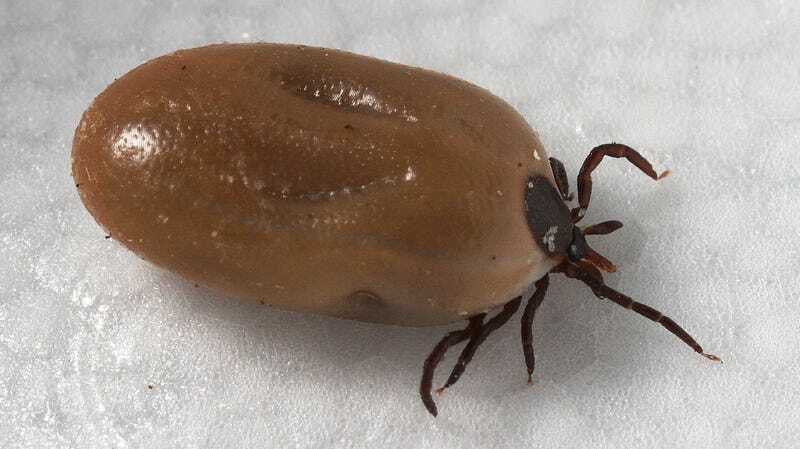 After you come back, you should check yourself, your clothing, and any pets that joined you for ticks, as well as take a shower within two hours.